WordPress is the best platform to build a website faster. Find a good theme, plug it in and voila you have a website. This has gotten even easier since the introduction of page builder plugins. The need to code the whole website has gotten less popular because of these handy plugins. There are a good amount of page builder plugins available for WordPress nowadays. The most popular ones are SiteOrigin Page Builder, WPBakery Page Builder, Beaver Builder and my favorite page builder Elementor. 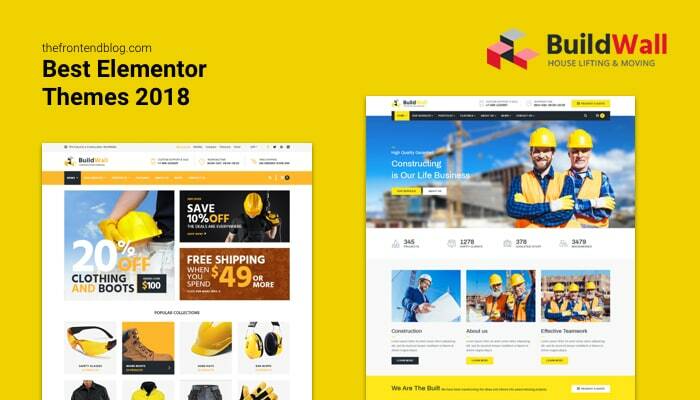 Elementor is one of the best drag and drop page builder for WordPress. It is free to download and very easy to use. You can see the list of features here. I’m not going to focus on the plugin and its features. This article is all about the themes that support or include Elementor as their primary page builder plugin. 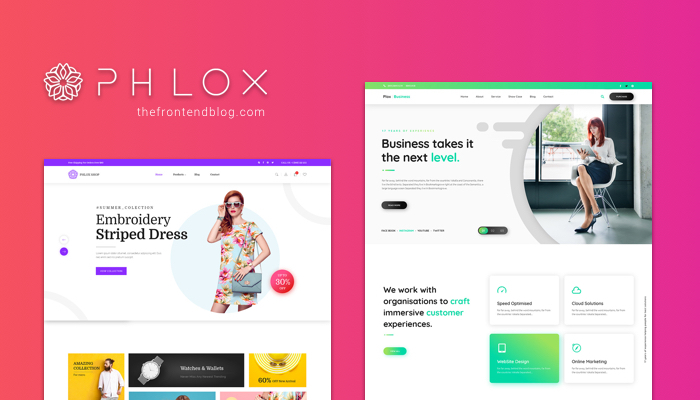 Phlox Pro is a MultiPurpose WordPress Elementor theme. It includes premium plugins like Master Slider Pro, Revolution Slider, Layer Slider and more. It also includes over 160 premium elements for Elementor. And it has more than 80 ready-to-use templates. This theme also supports WPBakery Page Builder with over 60 premium elements if you prefer that plugin instead. BuildWall is another beautiful Elementor theme for WordPress. It is designed primarily for Construction Business websites but you can modify it to fit your needs. BuildWall includes JetElements Addon for Elementor, JetMenu plugin to create your own custom mega menus and is WooCommerce ready. 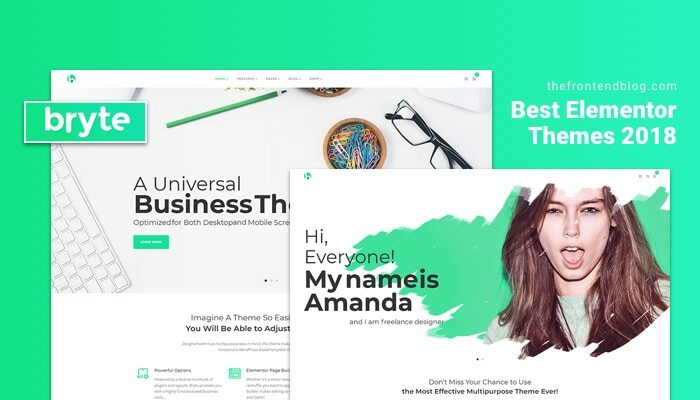 Bryte is a Multipurpose creative and business Elementor theme by the author of BuildWall. This theme includes more than 35 professional images that you can use for free. It also comes with premium plugins like JetElements Addon for Elementor and Revolution Slider. 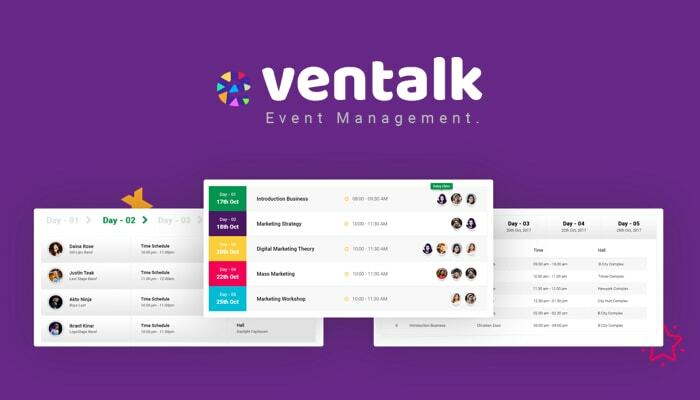 EvenTalk is an event management WordPress theme that uses Elementor. It has that modern and clean design which I really like. This theme includes custom Addons for Elementor. It also includes Layer Slider and has WooCommerce support. 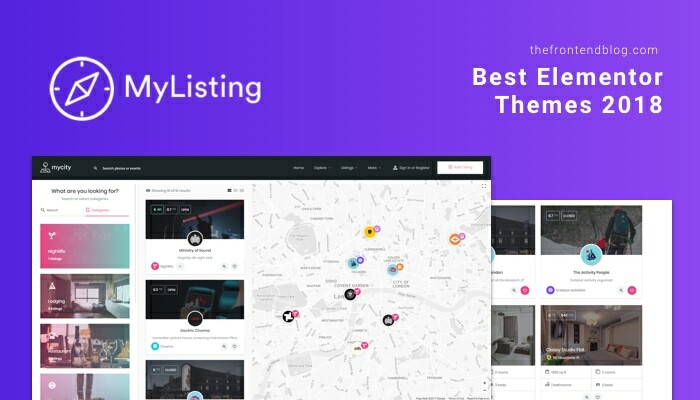 MyListing is a directory and listing WordPress theme. It includes over 50 custom elements for Elementor. This is a powerful WordPress theme to build any type of directory website. It supports Mapbox, structured data (Schema.org), has advanced listing type creator and is WooCommerce ready as well. I have only added short descriptions of each of these Elementor themes. Be sure to check them out to see all of their features. These are really feature-rich themes you won’t regret buying. I'm a front-end designer & developer from Nepal.